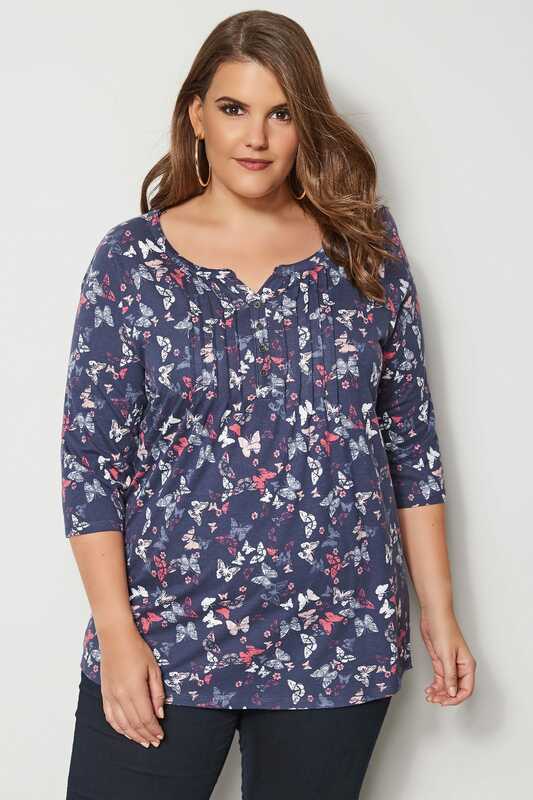 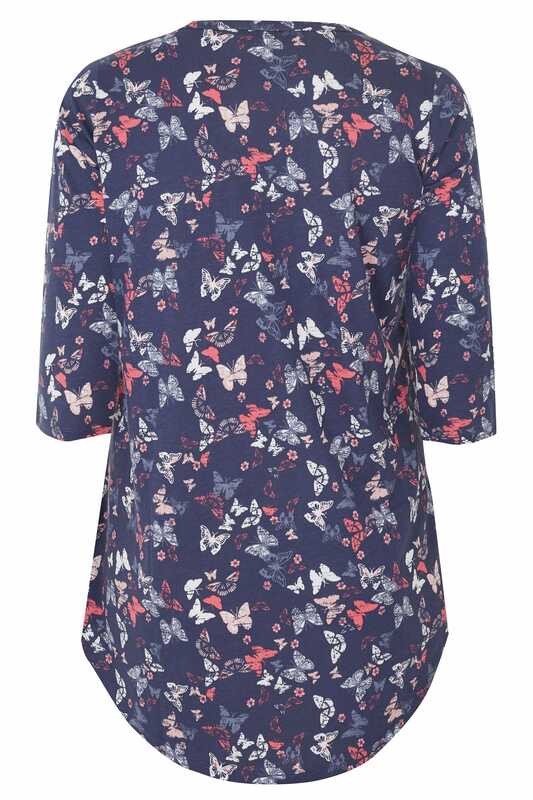 Made from a comfortable jersey fabric, this butterfly top features pintuck detailing, a button up front and a curved hem for extra coverage. 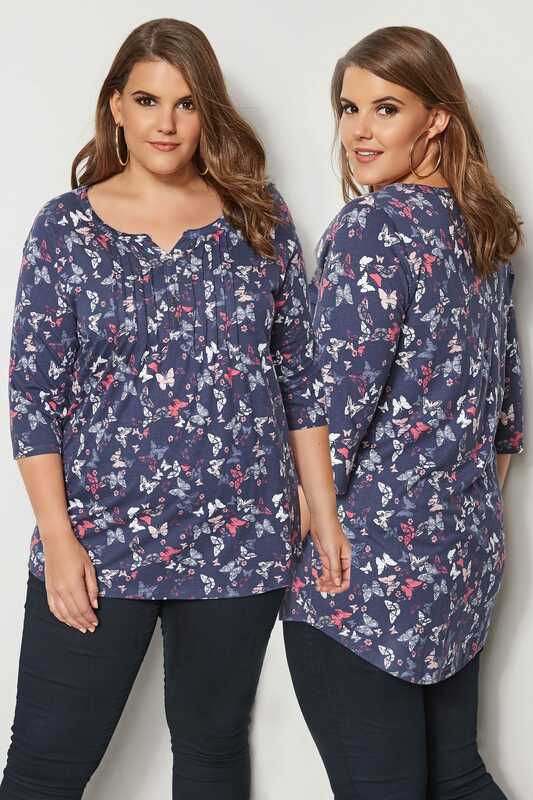 Team with skinny blue jeans and pumps for a trendy casual look. 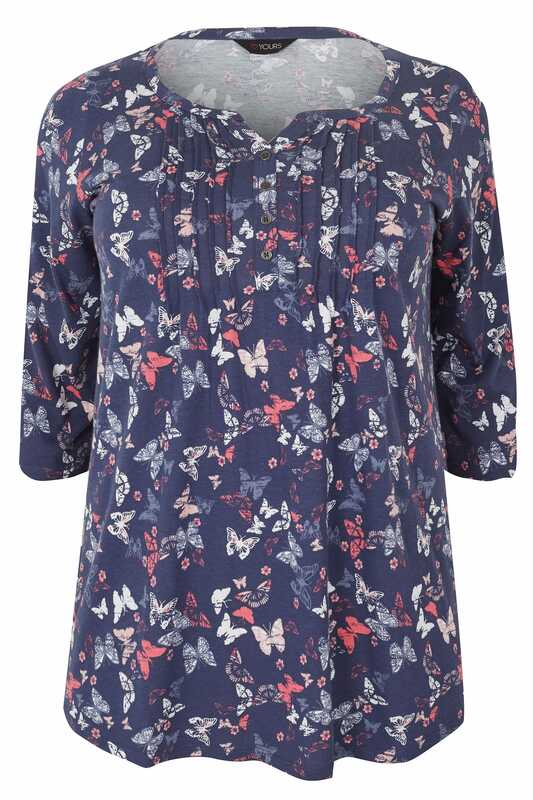 Butterfly prints are great for summer.